Nicely equipped Super Crew XLT with leather interior, clean history report, Eco Boost V6 engine, cold ac, runs and drives great. 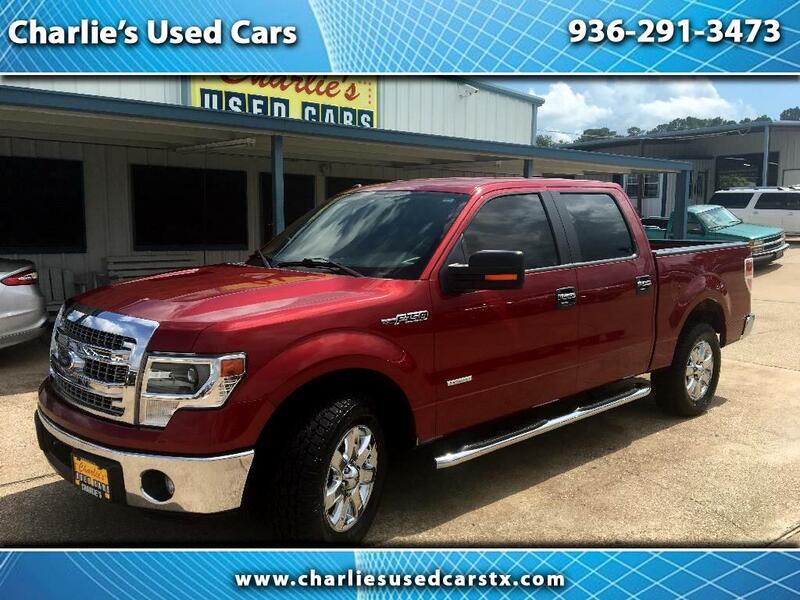 Visit Charlie's Used Cars online at www.charliesusedcarstx.com to see more pictures of this vehicle or call us at 936-291-3473 today to schedule your test drive. Charlie's Used Cars is a family owned and operated business since 1973. Charlie's Used Cars strives to provide you, the customer, with the best vehicle available at the best price possible. Our vehicles have been serviced and inspected before any sell or delivery to the customer. However, the vehicles we sell are used, they may or may not have minor issues along the way. Most vehicles at Charlie's come with a 3 month or 3,000 mile limited warranty to give peace of mind when purchasing a pre-owned vehicle.